If your bathtub needs updating, consider refinishing it yourself by preparing the tub and spraying on some new paint. Bathtub reglazing kits, available at hardware stores, will include many of the items you will need. Follow the directions that come with the kit for specific instructions. 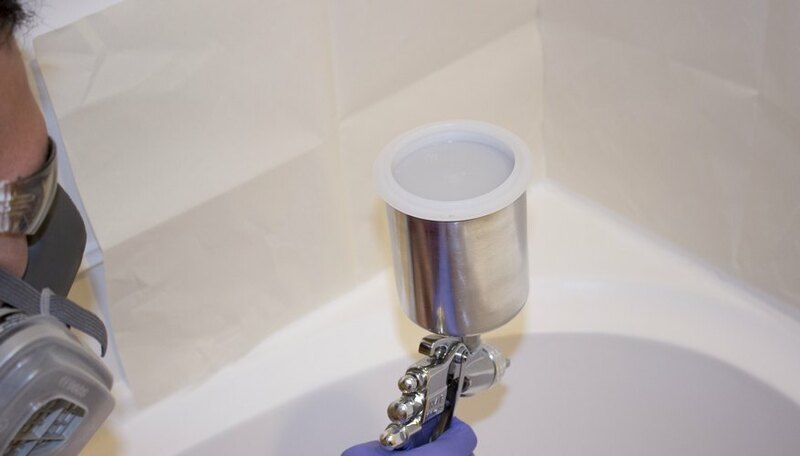 Clean your bathtub and use a putty knife to chip away any loose caulk. Remove any remaining soap residue with the chemical cleaning solution from the reglazing kit. 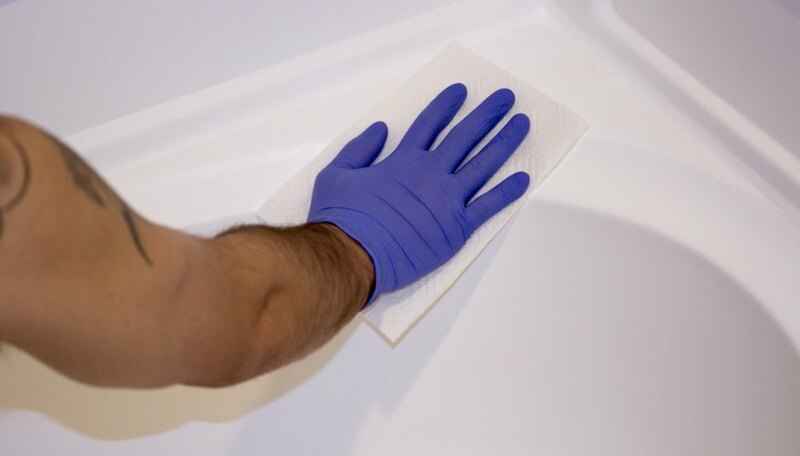 Use a rag to wipe the solution on the bathtub, and let it dry. 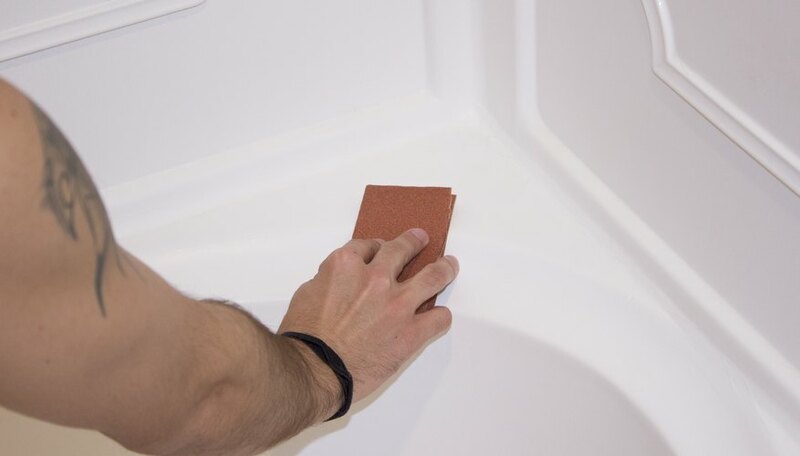 Sand the entire surface of the bathtub with the #220 or #240 sandpaper. Rinse the bathtub to wash off sandpaper dust. Apply the second cleaning solution in the reglazing kit using the cleaning pad that came in the kit. Wash off the bathtub and dry it with an old towel. 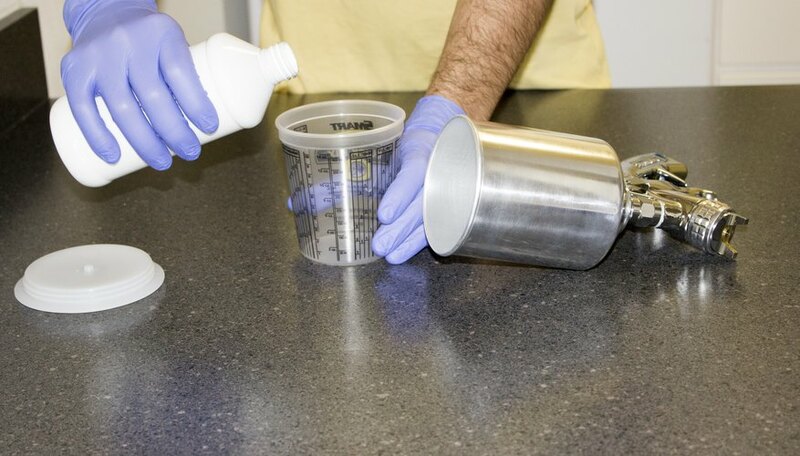 Apply the primer reducer to the entire bathtub surface, using paper towels. Apply putty to any damaged areas on the tub. When the putty dries, sand it with the sandpaper. Wash off the bathtub again to remove any sandpaper particles; dry the tub with an old towel. Protect your fixtures or adjoining tile by taping sheets of protective paper to them. Use the plastic spatula to smooth the edges of the masking tape. Pour the paint base coat in the paint sprayer and spray it on the entire surface of the tub. Let it dry for 30 minutes. Pour the topcoat paint into the paint sprayer. Spray it on the entire surface of the bathtub using even strokes. Let the paint dry for three days before removing the tape and protective paper and using your tub. For best results with a bathtub that is very scratched and damaged, spray on two coats of the base paint and two to three coats of the topcoat. Let each coat dry for at least 30 minutes before proceeding with the next application. Always work in a very well-ventilated area when spraying paint. Wear safety goggles, rubber gloves and a respirator mask when working with chemicals and paint.